I love the concept, but 800 MSP is a little steep for me. I dreamnt it was gonna be free, all those months ago when it was announced! isnt there another one coming out like the 1 vs 100 type game, thats free right ?? YOU ARE FRICKIN KIDDIN!!!!!!!!!!!!!!!!!! the rip of lying scumbuckets MICROSHAFT HAVE DONE IT AGAIN !!!!!!!!!!!!! I'll download the trial (if there is one) and if it is a pretty good game, I will spring for the 800 points. 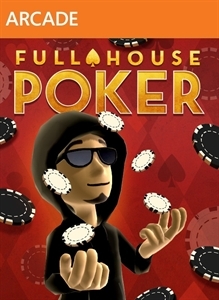 I have been looking for a decent poker game for the 360 and have yet to find one. after 1vs100 they said they would do something similar and it would be free again for gold members, this is just a glorified arcade game that i now have no interest in. I will stick to my texas hold em game thankyou. p.s anyone remember that free game that all gold members are getting, that racing one. erm... joyri.... ohhhh. f*ck, I was interested in this until I saw it this morning with a price on it, after being led to believe it would be free. It's a shame, because I wouldn't mind playing a poker game, but I wouldn't play it enough to justify the 800MSP price tag. that'd be doubtful at best. They can just say, the Arcade game is 800 but when you've bought that the Primetime DLC is free. lame. I paid for it... didn't actually realise it was supposed to have been free, oops!